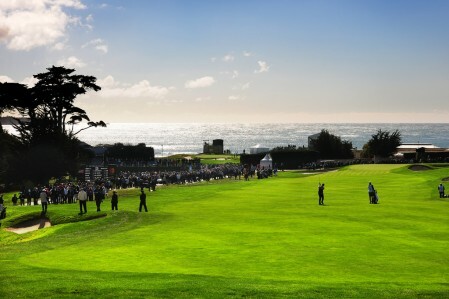 We have 3 qualified PGA golf coaches dedicated to helping you improve your golf skills. Whether you’re a beginner, looking to take your game to the next level or a junior player, our coaches are on hand to help you. 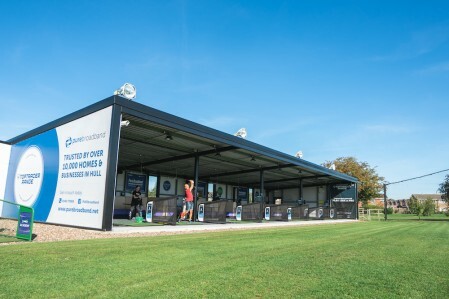 With state-of-the-art coaching facilities, we offer video analysis, flightscope technology, ball flight tracking and ball data. James holds individual and group lessons spanning the full range of abilities from total beginner to elite professional. Ladies, gents and seniors are regular visitors to the undercover and enclosed studio to work on their game and enjoy their golf. 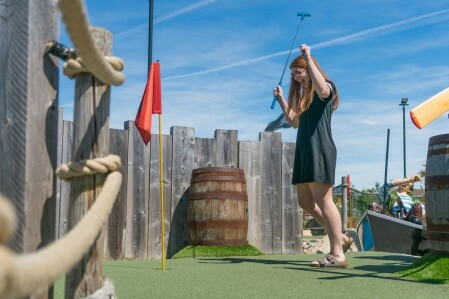 James also runs a weekly junior golf school which sees children from as young as four learning the techniques and rules of golf. James can adapt his style of teaching to suit the individual and their ability. He’s friendly, knowledgeable and committed to helping you succeed, whatever your golfing ambition. 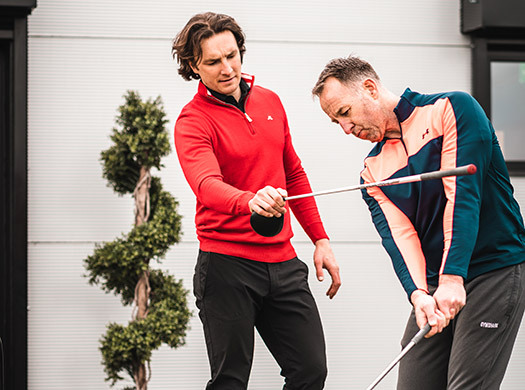 Whether it’s swing development, short game technique, course management or golf fitness, contact James to start the ball rolling for a brighter golfing future! 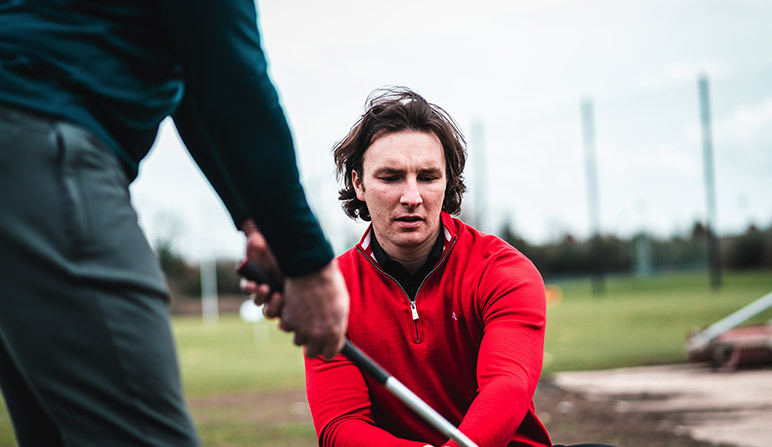 After obtaining a BSc (Hons) in Sport and Exercise Science with Bio-mechanics from Nottingham Trent University, James turned Professional in 2001, gaining full PGA Professional status in 2003. James has an impressive tournament history at Yorkshire county PGA level with numerous victories along the way and most recently holding the titles of PGA in Yorkshire Captain and President, respectively. Contact James on 07984189721 or jamesdrinkall72@gmail.com to book a lesson today or book a lesson in at reception. Matthew is approachable, friendly, and committed to each customer to help them improve their game and achieve their goals. Goal-setting is a major part of Matthew’s coaching philosophy as he believes this is ultimately what drives golfers to improve. With access to a state of the art coaching studio with video analysis and flightscope technology, Matthew collects data from each shot during your lesson. You’ll also receive a post-lesson email detailing lesson performance and advice on what to continue practising out of lessons. Individual and group lessons are available to golfers of all abilities from total beginners through to professional golfers. 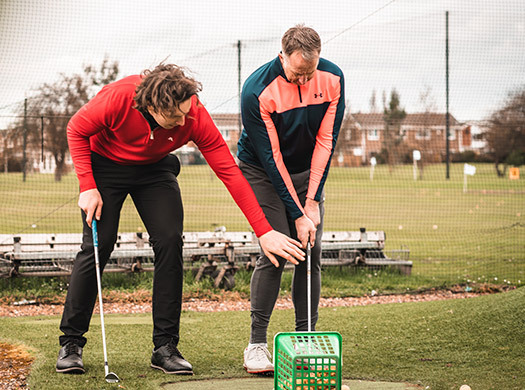 Lessons will cover all areas of the game including on course management and gap tests to make sure you know exactly what you’re capable of with each club in your bag. On a Saturday afternoon, Matthew runs a weekly junior group class which is suitable for juniors of all ages from 4 through to 14 years old. 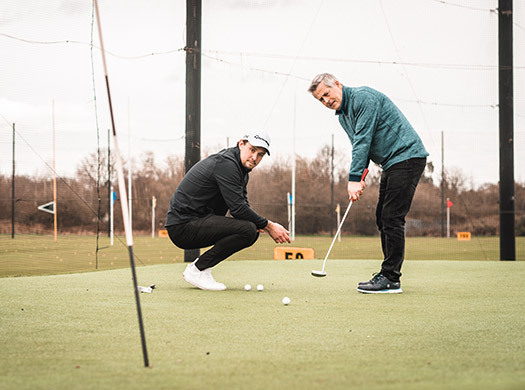 In 2017, Matthew completed his FDSC professional golf studies at Birmingham University and is a keen golfer on the Yorkshire PGA tour after a successful amateur playing career in the local area. Guy has been educating golfers for over 20 years, enhancing what works. Making simple changes that can give extraordinary results. Enjoyable golf is his aim, finding workable, playable outcomes that allow the golfer to progress. He came late into golf at 28 years of age and believes that playing golf with friends can bring many physical and social benefits. 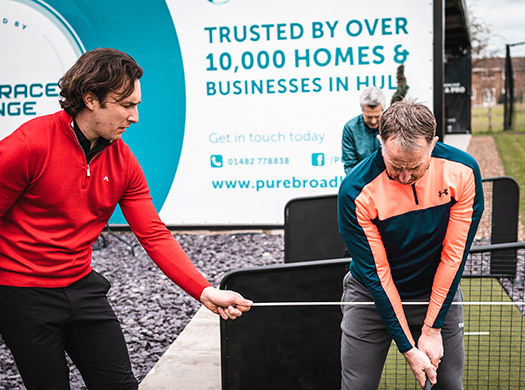 Guy qualified with the PGA in 1998 and was a qualified professional at Cottingham Parks Golf Club for 15 years before travelling and playing exclusively for business and individual golf clients. Book a lesson in with Guy at Reception or call 01482 49 49 48 or email guymilner22@guymilner22.karoo.co.uk. 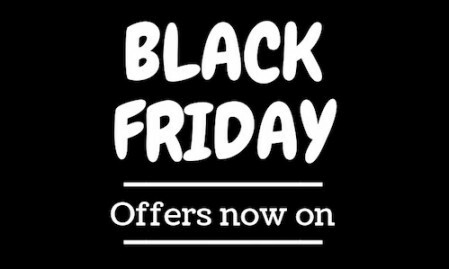 Private junior coaching is also available along with school holiday special classes, please enquire to find out more on sales@onestopgolf.co.uk. Please call reception on 01482 49 49 48 to find out more.